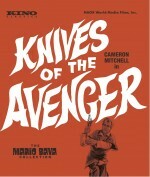 With Knives of the Avenger Mario Bava stepped outside of the horror genre and into the popular but short-lived Viking film. Bava crafted a barbaric revenge picture flavored with the inky darkness and splashes of color that have become the maestro’s stylistic trademark. Just as Sergio Leone used Akira Kurosawa’s Yojimbo as the template for his A Fistful of Dollars, Bava took inspiration from George Stevens’s Shane in fashioning this story of Helmut, a wandering soldier (Cameron Mitchell) who finds shelter in the home of a woman and child (Elissa Pichelli, Luciano Pollentin). 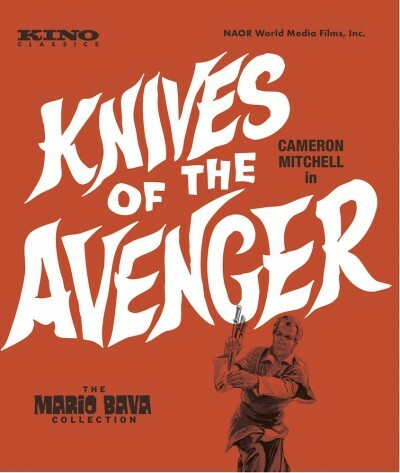 When an assassin (Fausto Tozzi) is sent to kill the innocents, Helmut becomes their defender, fulfilling the prophecy foretold by a witch-like psychic.